Nail polish is one of the most chemical-ridden beauty products sold in the United States. Chemicals such as DBP (dibutyl phthalate), Toluene, Camphor, and Formaldehyde can be found in popular nail polish brands. Not only are these chemicals dangerous to inhale, but some have been found to disrupt hormones and cause reproductive issues. Scary, huh? The good news is there are a ton of nail polish brands on the market that don’t include dangerous chemicals in their formulation and are cruelty-free as well (meaning they don’t test their ingredients nor finished product on animals). 100% Pure, founded by Susie Wang, has a nourishing nail polish line created with fruit-based pigment. 100% Pure nail polish is formulated without formaldehyde, toluene, DBP, camphor, formaldehyde resin, xylene, parabens, fragrances, phthalates and animal ingredients. Aila polish was developed by Podiatric Surgeon Dr. Cary Gannon. It promotes nail and cuticle health while offering a wide range of colors and long wear. Aila nail polish is formulated without parabens, sulfates, formaldehyde, formaldehyde resin, camphor, dibutyl phthalate, toluene, triphenyl phosphate, xylene, bismuth oxychloride, ethyl tosylamide. All Heart is a vegan nail polish created by Roxana Cabral (who happens to be an acquaintance of ours). All Heart releases a new color each month in conjunction with a non-profit organization, who receives $1.00 of the proceeds for each bottle sold. You can buy All Heart polish separately or receive one bottle every month as part of a subscription service. Their polish is formulated without dibutyl phthalate (dbp), toluene, formaldehyde, formaldehyde resin, camphor, xylene, ethyl tosylamide, and triphenyl phosphate (tphp). 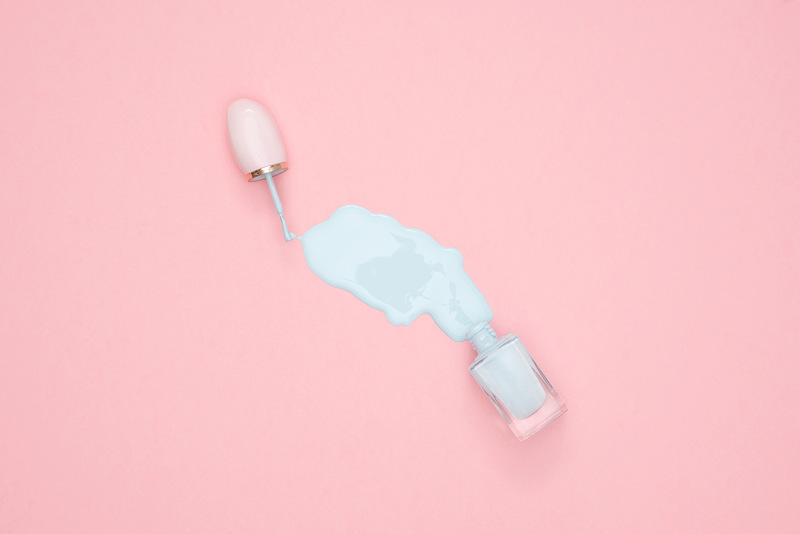 Côte is a vegan nail polish developed by Mary Lennon and Leah Yari. Côte offers a wide range of colors that are chip-resistant. Côte nail polish is made without formaldehyde, dibutyl phthalate (DBP), toluene, camphor, formaldehyde resin, TPHP, xylene, ethyl tosylamide, parabens, and gluten. Ella+Mila is a luxury brand of non-toxic nail polishes named after the founders twin daughters. Their polishes are 7-free, vegan and cruelty-free and made without Toluene, Dibutyl Phthalate (DBP), Formaldehyde, Formaldehyde Resin, Camphor, TPHP and Xylene. Honey Bee Gardens nail polish is water-based, odorless and environmentally safe, making it a great choice for kids (or adults). Their polish contains no FD&C colors, toluene, dibutyl phthalate (DBP), xylene, or formaldehyde, camphor or benzophenone-1. KL Polish, created by YouTube beauty guru Kathleen Fuentes (Kathleen Lights), is a 12-free, vegan nail polish. Their polish is formulated to be long lasting and chip resistant while still remaining affordable. KL polish is created without Toulene, Formaldehyde, Dibutyl Phthalate (DBP), Formaldehyde Resin, Camphor, Ethyl Tosylamide, Xylene, MEHQ/HQ, MIT, Parabens, Animal Derived Ingredients or Gluten. Nailberry is a non-toxic & vegan nail polish line by Sonia Hully. Their products are vegan, breathable and certified Halal. Their formula is 12-free and is made without Phthalates, DBP, Toluene, Formaldehyde, Formaldehyde Resin, Camphor, Xylene, Ethyl Tosylamide, Triphenyl Phosphate, Alcohol, Parabens, Animal Derivatives, Gluten. Pacifica is a drugstore brand that carries a wide color range of nail polish that is both vegan and cruelty-free. We couldn’t find a list on their website of the exact 7 chemicals their formula is made without, but it’s fair to assume its likely the most common ones, such as Toulene, Formaldehyde, Dibutyl Phthalate (DBP), etc. Pacifica polish can be found at Target and Ulta, as well as online. Sienna Byron Bay is a luxury non-toxic nail polish brand developed by Australian nail technician Danielle. Her line, which focuses on inclusivity, comes in a large range of shades that are breathable and water permeable. Although Sienna polish is created in Australia, they have an affordable flat rate shipping charge of $6 USD (to the USA). Sundays nail polish is a 10-free luxury nail polish with a long-lasting, chip-free formula. Their formula strengthens nails and adds a glossy shine. Sundays polish is formulated without dibutyl phthalate, TPHP, toluene, xylene, ethyl tosylamide, camphor, formaldehyde, formaldehyde resin, parabens, and tert-butyl hydroperoxide. If you’re in the NYC area, check out the Sundays salons near Fifth Avenue! Yapa Beauty is a professional nail polish brand with a non-toxic, high-shine and fast-drying formula. Their polishes come in a wide range of colors, all of which are long lasting and chip-resistant. Yapa nail polish is 7-free, and is formulated without Formaldehyde, Formaldehyde Resin, Toulene, Dibutyl Phthalate (DBT), Camphor, Triphenyl Phosphate (TPHP), Xylene, Ethyl Tosylamide/Epoxy Resin, Lead, Hydroquinone Monomethyl Ether (MEHQ/HQ), Methylisothiazolinone(MIT) / Methylchloroisothiazolinone (CMIT), Parabens and Gluten. Zoya polish, created by Zoya and Michael Reyzis (Art of Beauty) is a long-lasting non-toxic nail polish formulated without toluene, camphor, formaldehyde, formaldehyde resin and DBP (dibutyl phthalate). Disclaimer: May contain affiliate links. Article is not sponsored. Nothing stated above should be used in lieu of professional medical advice. Pro Makeup Artists Vs. Beauty Influencers – What’s the Difference? Get new post notifcations via email!